Since the day I met Mr. P. we have loved to explore. Every weekend, we would get in our car and go on what we would call a P.J. adventure. It would take us to various towns around the area, ones you wouldn’t normally venture to, botanical gardens, little cafes and shops. 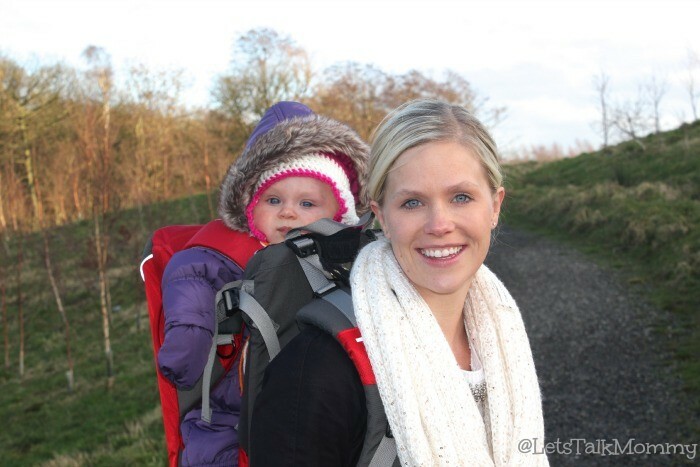 When we had our first born, we wanted to continue our adventures, thus we started our P.J.A. Adventures. It was always something unplanned, random, and fun. A little joke between us that our P.J. adventures turned into P.J.A adventures for the mere fact that my husband is a huge golf fan. (PGA) Yes, we are cheesy and weird, I know, but that’s why you love us here. Instead of quaint little towns and cafes, we more or less became park hoppers. Now that our family has grown and we have become four, there isn’t quite the ring to P.J.A.E. adventures, thus we now label our family, outdoor expeditions as J.E.A.P. adventures. So here we are, last week’s JEAP adventures. 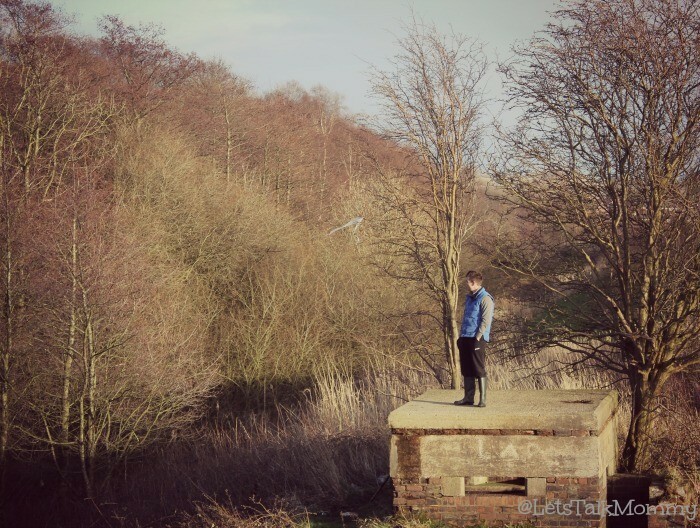 When we first moved to the area we were excited to find that at the edge of our estate was protected land for birds, as well as fields of grass, and woodland area, we could walk through to explore. It’s handy being just behind our house, we are never far from nature. What a bonus! With the atrocious weather lately, cabin fever has long set in, we point-blank refused to let it stop us getting out for some much needed fresh air. 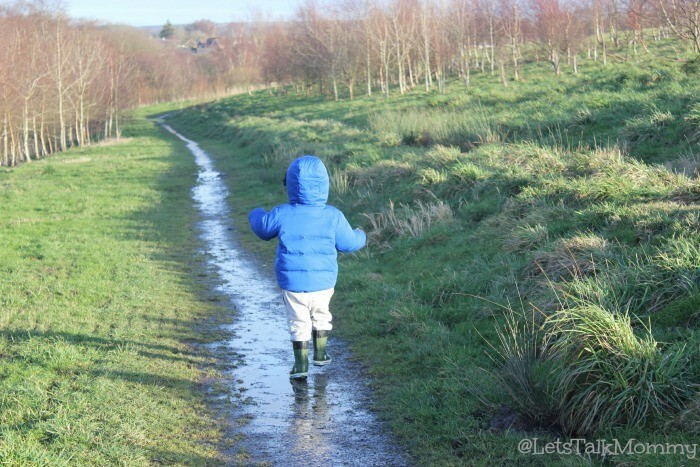 We popped on our wellies, applied our winter layers, and went for a hike. We were lucky enough to get thirty minutes of light between the down pours, hail and wind blowing a gail, to enjoy our short JEAP adventure. Buba is finally gaining confidence and venturing out ahead of us, here. I love a good action shot, mid splash! He kept looking at me like, Mommy is this ok that I am wet and muddy? 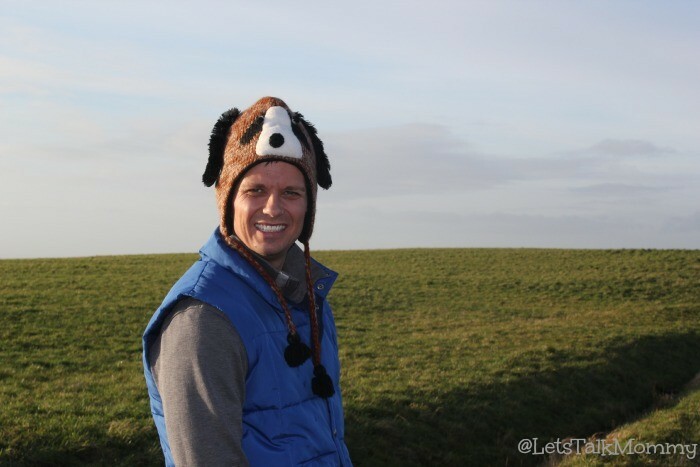 With mud on his face, wind chapped cheeks, he was all fun and games, until a fellow explore with a dog appeared. Buba is very skittish and petrified of animals, until the dog was back out of sight, he remained cautious. I hope his fear of animals subsides, as I don’t want to have to forego any family trips to the Zoo in the future. 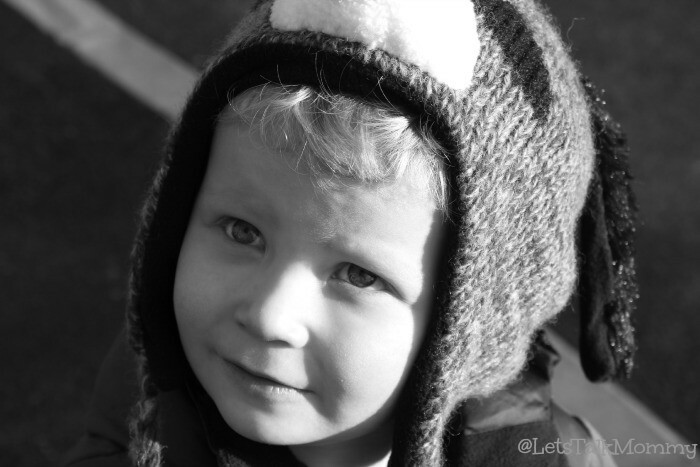 Buba’s Christmas Market hat quickly became Daddy’s Chritsmas market hat because it just wouldn’t stay up on his head. The thought of a dog on his head didn’t impress him one bit either but it suited Mr. P. just fine. 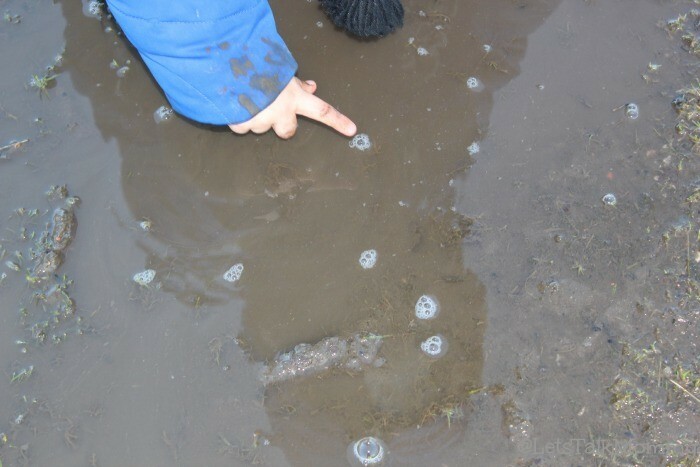 Puddle jumping, and bubble popping, long over, Buba moved on to mud pies! 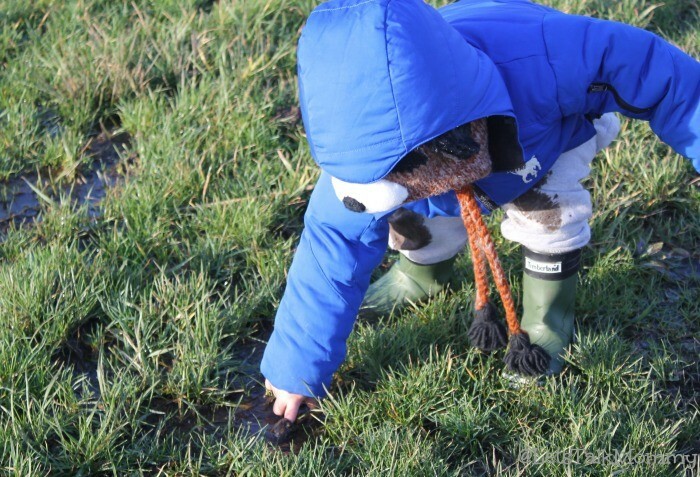 He was amazed how the cold mud felt on his fingers. “I diggin’ Mommy,” he said. It was great to watch him explore and find new things, small things so fascinating. I can’t wait to one day he plays in snow! Here is Mr. P. on top of the bird look out tower. It’s great to stand and listen to all the different types of birds singing, chirping and squawking in the trees, very peaceful! We couldn’t go on our mini JEAP adventure without the soccer ball. That ball comes every where with us, when we are outdoors. Even Missy Moo was getting into the fun. “I stuck, I stuck.” Buba playing in the first mud hole he could find, instantly falling over when the path ended and the muddy grass started. It only took a second for him to be covered in muck. 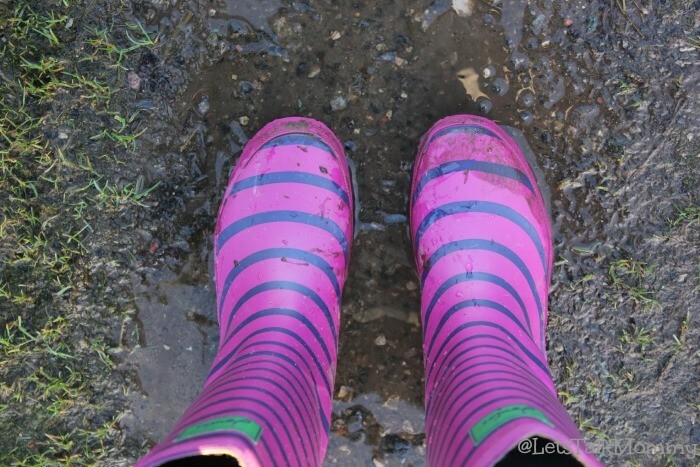 I had to share my wellies from Joules, a bargain from Cheshire Oaks. They haven’t been off my feet all month long. 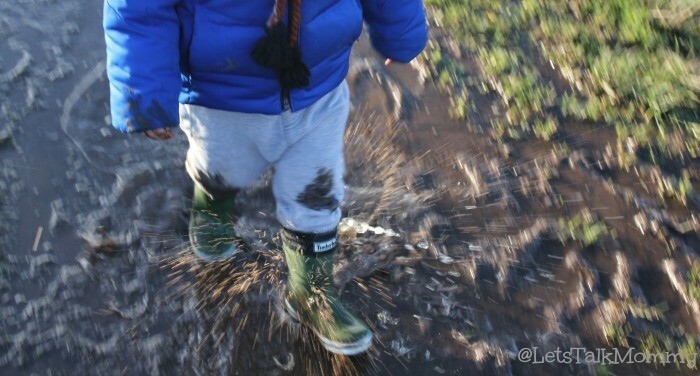 Without them I couldn’t be enjoying all this mucky fun outdoors with my family. Buba listening to the birds, like Daddy! 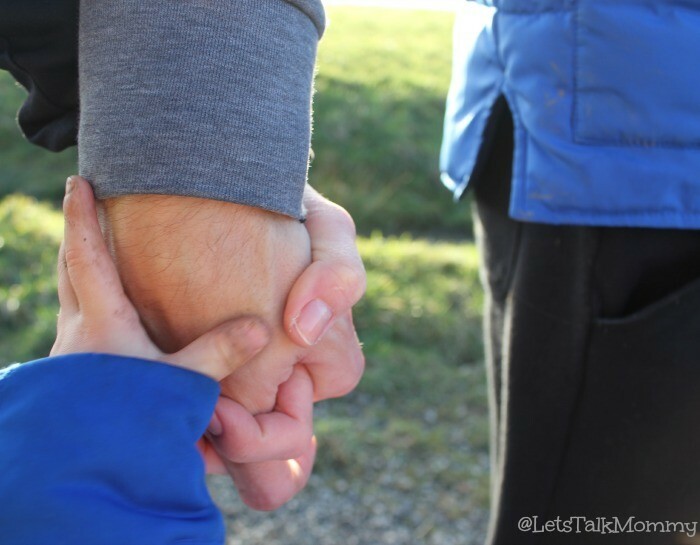 My all time favorite moment of JEAP adventures to date…a moment that is so dear to my heart, it became my first “Melt Your Heart Moment”, click here to read more about this snapshot. It was the perfect way to end the family JEAP aventures. 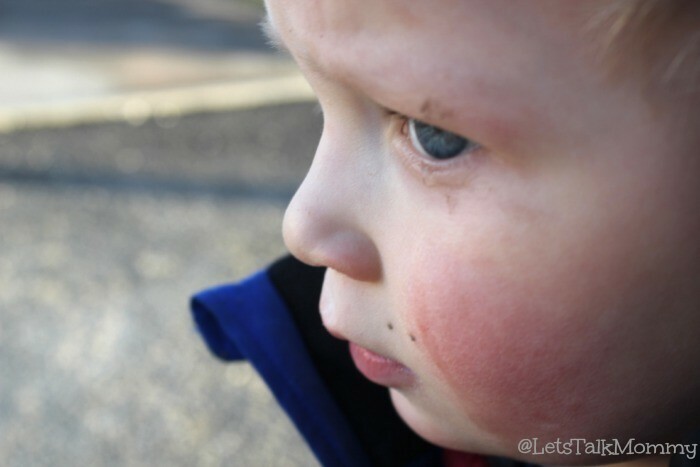 Linking up with the fabulous Country Kids linky from Coombe Mill. We are cheesy like that in this family but I love it. Thank you, I have been trying to learn photography and I love candid pictures. 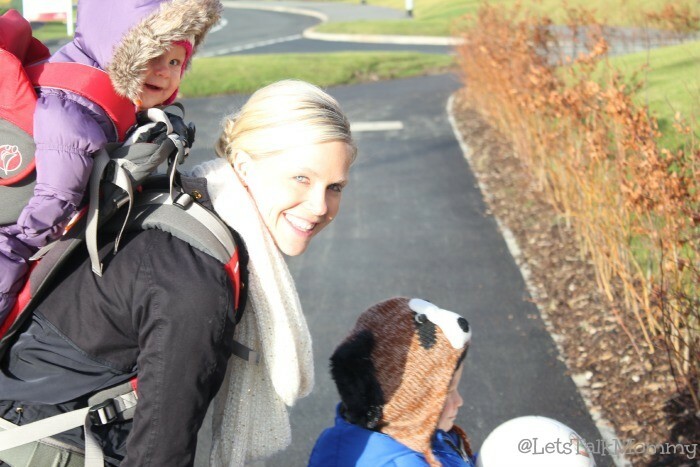 What lovely photos of great outdoor family fun. 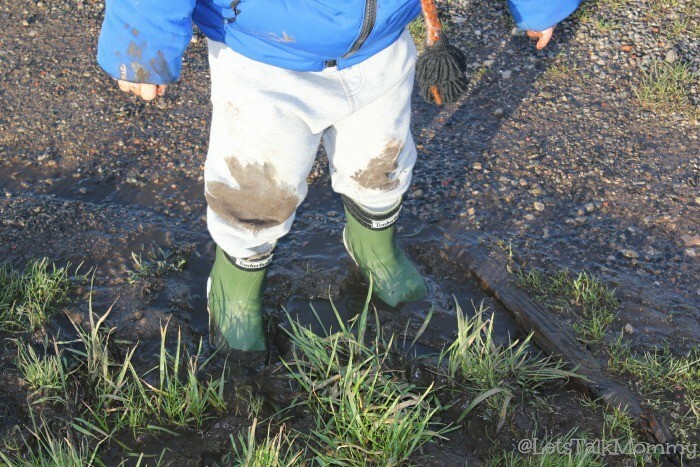 It sounds and looks like Buba enjoyed himself in the puddles and mud – after all that’s what washing machines are for! Thanks for linking up your family fun with Country Kids. Thank you so much Fiona, love linking up. Hopefully this weather will get better so we can venture further out. Definitely thankful for my washing machines. It was great fun though. Exactly my thoughts, Alexandra. Thanks for popping over and commenting. Hope to see you again soon. Thanks Katie. 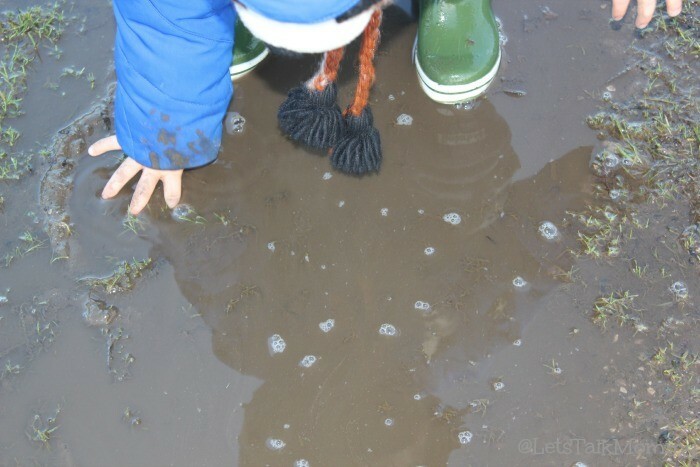 Yes definitely wellies are a must. I have always loved our random family adventures. Someday see are stuck on where to go or what to do though. Those are always frustrating days. Lol A bit like today. Boring. Hope you had a good valentines day.